Thanks to the latest money saving incentive from Compare the Market you can now dine out on 2 for 1 starters, mains and desserts with Meerkat Meals. The deal runs in conjunction with the ever popular 2 for 1 cinema ticket deal Meerkat Movies, and is obtainable by anyone who's ever needed insurance. The new programme, which is powered by tastecard, allows diners who have purchased a qualifying product to use the offer across breakfast, lunch and dinner from Sunday to Thursday for a whole year. The predictable list of high street restaurants participating in Meerkat Meals includes: Ask, Giraffe, Handmade Burger Company, Frankie & Benny's, Pizza Hut Restaurants and Prezzo. For those rolling their eyes at the long list of voucher loving places that have you asking 'who ever pays full price for this anyway?!' we have great news; the programme extends to thousands of independent restaurants up and down the country. Customers can expect an eclectic mix of cuisines to keep your taste buds attentive week after week. Whether you're insuring a car for the first time or renewing your home insurance you are eligible for Compare the Market meerkat deals. To qualify, insurance seeking folk should register with Compare the Market before delving into that much loved quote gathering process on the website. Once you have searched for and secured your insurance through them you'll be rewarded with both Meerkat Movies and Meerkat Meals. From there on in the promotions are easily managed via the app which allows you to search for participating restaurants in Edinburgh and beyond before downloading your discount codes. For those thinking of the offer you can download the app at no cost and nosey at participating restaurants in your local area before deciding whether you want to buy a qualifying product. At current there are over 15 independent restaurants in Edinburgh and over 1000 countrywide. First opened in 2012 Riverlife offers an eclectic range of French Caribbean dishes. They cater for private parties (up to 40) and it is BYOB. Based in the heart of Edinburgh's theatre-land, Zucca sensibly concentrates on speedy service and a straightforward menu, perfect for before or after a show. 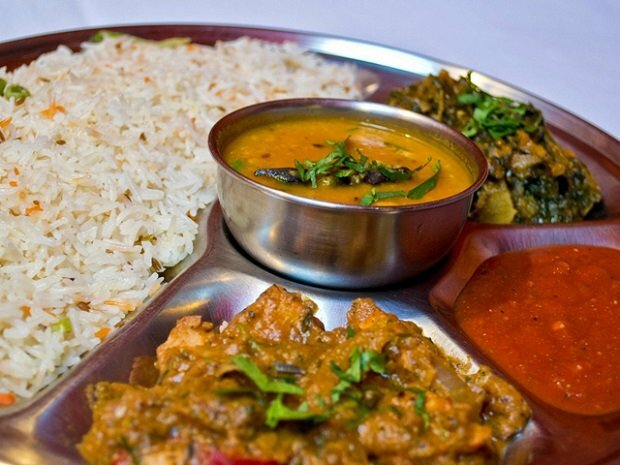 Contemporary Indian restaurant in the city centre with a focus on Bangladeshi cuisine. Welcoming bar with a friendly buzz, great cocktails, and a basement club at the weekends. Multi-ethnic Indian restaurant in the historic heart of Leith, with extensive menu and plenty of seating. A great surprise Scottish dining experience, enjoying the elegance of a Playfair townhouse near Leith Walk. The popular Aberdeen-based curry chain moves south, with branches in Nicolson Street and Constitution Street.